Shook my hangover and headed out to greet the day Sunday morning. gsalr.com had only two sales anywhere in the area with records and they were in opposite directions. Not being ambitious enough to try and hit both, I chose one on the north side and headed out around 10am. Just a bunch of the usual suspects (Mantovani, etc) save one disco record I almost scooped. 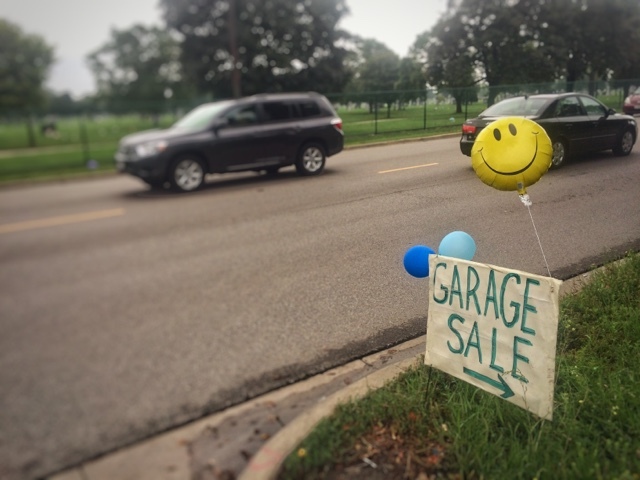 On the way over, I had seen some signs for an estate sale around Foster and Harlem. I headed back first to the grocery store at that same intersection. I ate a chicken salad sandwich and drank a bottle of watermelon/pineapple juice under the shade of a tree. I thought about the awesome flea market at this same intersection on a very hot day long ago. Then I found that sign and headed up to the estate sale. Of course I had no idea if there would be any records at all but alas there were. Exclusively symphonic/classical stuff - no interest at all. I leafed through it all anyway and glanced at the other wares then headed out. 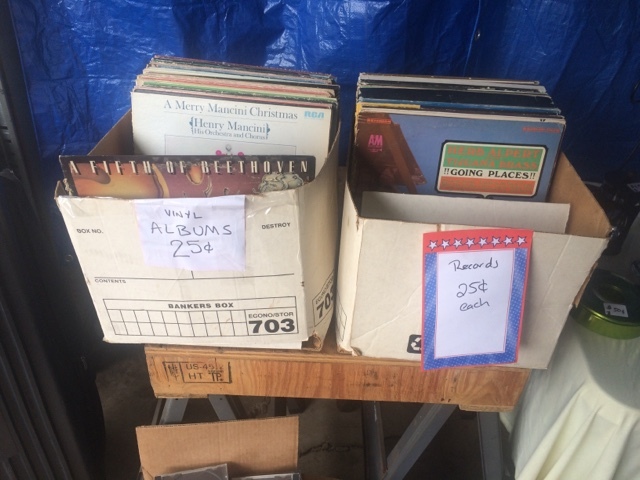 At this point I started to head home and when I got to Lawrence Ave I was stricken with inspiration and decided to jaunt all the way over to the other garage sale with records. I knew it was at least 10 miles away but it was still early and wasn't very hot. So off I went. I don't know if '100s' of records was quite accurate and anyway most were really old 78s without any jackets at all. The LPs were junk too besides one I grabbed for my girlfriend, or myself if she had it (I wasn't sure at the time; she does not have it I have since confirmed so her's it is). I continued my trek through some really bad roads (potholes) and bad neighboorhoods (Maywood) as I took the Prarie Path back to 1st Ave for my journey home. Been having some trouble with my GPS logging app so I was only able to successfully log the trip above (10 miles) but I estimate I did over 20. And when I got home I rested for a moment, then switched bikes and headed out to grab groceries so I could cook/eat/cook/eat/repeat then nap. An intense morning and a Sunday well spent!